The blackberries are fermenting on the vine, fallen leaves blanket the picnic table, and the slice of sun on my clothesline arrives later each day. With the arrival of fall, the days of being able to hang my laundry outside are growing fewer. Lately I have been pondering my passion for this ritual of outdoor clothes drying. Is it only the sensual pleasure I crave, or something more? One of my early childhood memories is of being outside with my mother as she hung long rows of clothes with wooden clothespins. Sheets created a labyrinth of imagination. Half of the backyard in our Denver home at various times over the years was claimed by hanging laundry on those days. Numerous cloth diapers testified to the presence of a baby in the house. They hung beside the parochial school uniforms of my sisters and me, my father’s work clothes, my mother’s aprons, the envied “regular” clothes of my older sisters, my brothers’ play clothes, each item revealing something of our lives. One year, for my birthday party, my mother organized a game in our backyard near the clothesline. The goal was to successfully drop clothespins into the small round opening of a glass milk bottle on the ground. One at a time each child knelt on a wooden chair, facing backward, their arm resting on the back of the chair. The person with the most clothespins in the bottle won. Now when my mother recalls this game she laughs with embarrassment of not having provided a more sophisticated activity. But we kids loved it. It stands out for me as a testament to my mother’s inventiveness of transforming everyday items into something special and marks with some nostalgia a certain time of growing up in the 1950s and 60s. At the turn of the millennium, my younger sister took up the practice of line-drying the clothes when she and her family were living in Rome. Laundry hung in long rows outside the back door of their home while the neighborhood bambini played nearby. Will her two daughters remember this ritual with any fondness? The oldest daughter, now age seventeen and living back in the United States, prefers soft, machine-dried clothes, not the stiff sentinels that the clothesline offers up at the end of the day. In Italy, rows of laundry hang publicly and “shamelessly” high above the streets of some cities and outside the windows of village homes. When I first visited my maternal grandmother’s village in 1980, some women still gathered at a public basin to wash their clothes. What stories were told as women did laundry together? My Italian cousin, Daria, deftly hung and strung laundry outside her centuries-old apartment window with a circulating line – reeling it in and out. It was the same line that her mother likely used to hang the laundry when she was alive and lived in that home. Cycles of time passed through the circulating line. In Sardegna, Tanit’s presence in the lives of the ancients is evident in the form of a 3000 year-old “holy well,” a remarkable structure of basalt blocks expertly crafted and fitted together to create the triangular shape of her body. Twenty-five smooth stone stairs descend into subterranean space to reach the spring water held below. Twice a year, at the end of the winter and at the beginning of autumn, the sun’s beams align with the angle of the steps to penetrate the waters of the well. Precious bronze ex-voto, gifts of gratitude and devotion, have been found at the well, now known as the well of Santa Cristina, further marking it as an ancient sacred site. Descending the steps like so many pilgrims before me, “entering Tanit’s body,” and blessing myself with the holy water marked a meaningful event in my life. Now, as then, water heals, sanctifies, and washes away. The bearers of my backyard clothesline, carved of reclaimed Redwood, are no less remarkable or substantial. Their color evokes the red ochre of the oldest sacred artistic pigment, as well as the life-giving blood of the mother. Enduring geometrical forms define their shapes: a downward-opening triangle for the body and a round circle for the head, which together mark the distinctive symbol for Tanit. Their features were selected from twenty reproductions of Tanit illustrated by Italian architect Franco Laner, who refers to the well of Santa Cristina as a temple.2 One of the clothesline Tanits has her “arms” raised in an orans, or praying pose, an ancient sign in sacred iconography for worship or epiphany. The other Tanit has a simple horizontal bar for arms and a crescent moon for her headdress. The lunar adornment links her with menstruation, since the length of both the moon’s cycle and the menstrual cycle is 29 ½ days. A further lunar connection has been made by archeo-astronomists in Sardegna, who, after studying the sacred well of Santa Cristina, have discovered that the circular stone opening above Tanit’s body aligns with the full moon. Every 18 ½ years, in the middle of the night at the darkest time of the year, the milky moonlight enters the round hole at the surface and shines directly down the bottle-shaped stone column into the water. This holy well is an exquisite vessel of cosmic and Earthly communion, as moon and sun come together in the waters held within the earth and stone, all sanctified inside the female body of the Goddess. The two Tanits, with silvery clothesline strung between them, stand outside my office window like guardian oracles of ancestral winds. Inside, at my computer, I am working to retrieve my ancestral heritage as part of my dissertation research. Over the months, I have been interviewing my elder female relatives in Colorado and in Italy asking about their lives. From them, I am learning about the life of my maternal grandmother, Edvige Albasini, who died three years before I was born. A century ago, she and my other grandparents emigrated from alpine villages in Trentino, the mountainous region of the Dolomites in what is now northern Italy. Edvige’s destination was Russell Gulch, Colorado, a rustic gold-mining town. Like many wives of miners, she was soon widowed, in her case at a young age with a family of three small children. “Taking in laundry” of wealthy people enabled Edvige to manage. In a popular Trentino legend known as I Monti Pallidi, The Pale Mountains, the Salvans—little men who dwell in the wilds of the caverns and forests—spin the moonlight into a silvery cloth which they drape over the rugged Dolomites, giving them their white alpenglow. 12 They perform this task so that a Moon Princess, with whom a Prince on Earth has fallen in love, can come down to live with him and feel at home. In return for their gift, the Salvans are granted permanent residence in the caverns of the mountains. Moonlight, women, and wilderness are woven together and remembered in this tale. In my childhood dream, I am standing alone at night in the backyard between the clothesline and the apple tree. The white beam of the full moon shines from high above and bathes over me. Slowly it begins to lift me up off the ground back to its source. My heart is racing. Was I remembering my lunar lineage? Were my female ancestors beckoning for me to someday remember their traditions? Hanging clothes outside for me, in the 21st century, enfolds simple pleasures and deeply held values: the smell of clothes that have been dried by the wind and sun, spending time outside, conserving electric energy, and doing one small thing to reduce my legacy of consumption. In my visits to the folk museums of Trentino, I have witnessed all the stuff of everyday life made by hand. It is impressive – and humbling – to realize that these people of the mountains knew how to make everything: a variety of containers, every type of clothing, all food and drink, utensils, tools, and shelter. Older women were valued for their extensive knowledge of childbirth and healing remedies learned from a lifetime of careful observation and care-giving. The elders knew (and some still know) where the likely places for wild brise mushrooms are, which herbs to use for medicine, and the specific healing properties of the various mineral springs. Practical knowledge gained through the responsibilities of work began at a young age for Onorina Bortolamedi, one of the women I interviewed in 2009 in Trentino. Although her formal education was interrupted by the falling bombs of World War II, she said with pride that by the time she got married, “I could do everything!”13 She exudes the caring confidence of a bisnonna, a great-grandmother who birthed her first child at home and has tended to several generations. I look back to my ancestor’s wisdom as I look forward to creating a more sustainable life, less dependent on machines and distant others that give me “free time” but take away wellness and health-imparting activity that I must then create in other ways. From my vantage point of mid-life, the laundry line feels like a connection to my female lineage, my motherline.14 Not in drudgery, although this task of keeping clothes washed and dried has been formidable over the ages; but in the ritual act itself of hanging clothes, and in the stories that settle around women’s lives in the creation and care of clothes. As we retrieve our mother’s stories and those of other female relatives we reclaim the value of women’s lives in history and restore our inner connection with the timelessness of the cycle of life. 1 Lucia Chiavola Birnbaum, dark mother: African origins and godmothers, (Lincoln: Authors Choice Press, 2001). 2 Franco Laner, Il Tempio a Pozzo di Santa Cristina: Storia, Technologia, Architettura e Astronomia, (Mestre, Sardinia: Guida 2 Edizioni Adrastea, 2004), 36. 5 Elizabeth Wayland Berber, Women’s Work: The First 20,000 Years, (New York: W.W. Norton & Company, 1994), 29. 6 Elizabeth Mathias and Richard Raspa in Italian Folktales in America: The Verbal Art of an Immigrant Woman, (Detroit: Wayne State University Press, 1985), 3. 7 The filò is portrayed visually in the film L’Albero degli Zoccoli, The Tree of Wooden Clogs (1978), directed by Ermanno Olmi. 8 From interviews with Ann Ress, Louise Kulp, Emma Fortarel, and Lena Moser conducted in May, 2009. 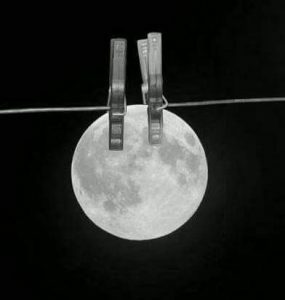 9 Doing laundry during the waning cycle of the moon, with its dissolving energy, helps make biancherie – linens and cottons – whiter, according to Johanna Paungger, who documents numerous lunar-related traditions of her Tyrolean childhood which she still practices. Johanna Paungger and Thomas Poppe, Servirsi della Luna: il suo influsso positivo su natura, salute,e vita quotidiana, (Milano: TEA, 2004), 152. 10 Details regarding recent menstrual practices were kindly provided to me by Giuseppina Trentini of Rovereto in Trentino, Italy via personal correspondence in November, 2010. 11 Judy Grahn, Blood Bread and Roses: How Menstruation Created the World, (Boston: Beacon Press, 1993). 12 Carl Felix Wolff, The Pale Mountains, English translation by Francesca La Monte, (New York: Minton, Balch & Company, 1927). 13 From interviews with Onorina Bortolamedi conducted in September 2009. 14 See Naomi Ruth Lowinsky, The Motherline: Every Woman’s Journey to Find Her Female Roots, (New York: Jeremy P. Tarcher/Perigee Books, 1992), for more information on the concept of the motherline and on the importance of researching the stories of female family members. Berber, Elizabeth Wayland. Women’s Work: The First 20,000 Years. New York: W.W. Norton & Company, 1994. Birnbaum, Lucia Chiavola. dark mother: African origins and godmothers. Lincoln: Authors Choice Press, 2001. Grahn, Judith Rae. Blood Bread and Roses: How Menstruation Created the World. Boston: Beacon Press, 1993. Laner, Franco. Il Tempio a Pozzo di Santa Cristina: Storia, Technologia, Architettura e Astronomia. Mestre, Sardinia: Guida 2 Edizioni Adrastea, 2004. Lowinsky, Naomi Ruth. The Motherline: Every Woman’s Journey to Find Her Female Roots. New York: Jeremy P. Tarcher/Perigee Books, 1992. Mathias, Elizabeth and Richard Raspa. Italian Folktales in America: The Verbal Art of an Immigrant Woman. Detroit: Wayne State University Press, 1985. Paungger, Johanna and Thomas Poppe, Servirsi della Luna: il suo influsso positivo su natura, salute,e vita quotidiana. Milano: TEA, 2004. Wolff, Carl Felix. The Pale Mountains, English translation by Francesca La Monte. New York: Minton, Balch & Company, 1927. This entry was posted in Cloth, Dreams, Family, Folk Stories, Moon, Stories, Trentino and tagged Moon, Motherline, Trentino by Mary Beth Moser. Bookmark the permalink. Oh how wonderful to read this on a windy sun-filled day here on the coast of Maine with the full moon rising just hours away. I can smell the laundry drying and see the moon beams dancing into Tanit and Cristina’s shrine! Sending my best wishes on the Moonbeams dear Margaret-Lynn!